When the hot summer days quickly begin to fade into crisp autumn air, we know a new preschool year is upon us. Like every year, with the new leaves come new children. Although we are a full year program, September always brings new faces to our center, and it is an exciting time for all. Preschool can be a scary place, especially if a child has never been before. For most, it’s the first time they are away from their families with complete strangers. (And several children invading their personal space.) 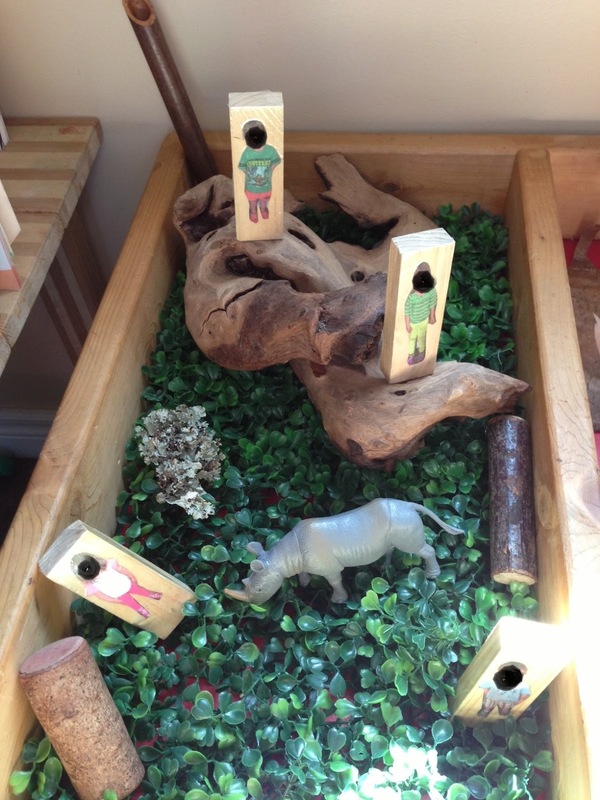 It is our job as an early childhood educator to make the transition from home to preschool as comfortable as possible. We can do this by consistent morning routines to help drop off time, and providing a comfortable environment where a child feels safe and can develop a sense of belonging. When a child feels safe and accepted they can truly be themselves and have the confidence to flourish. With so many new faces in our classroom we decided to make an invitation using their names and pictures. 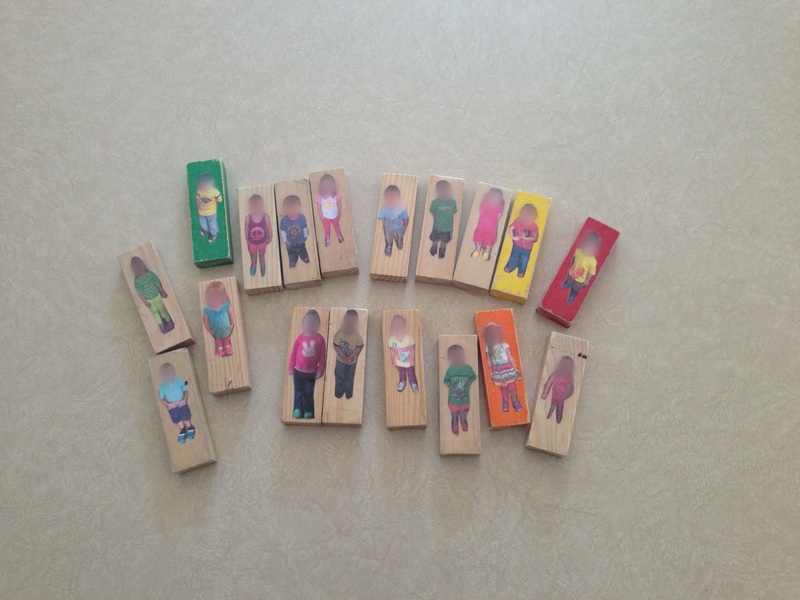 We took a portrait of each child, cut it out, and laminated it onto a block. On the other side, we put their names. 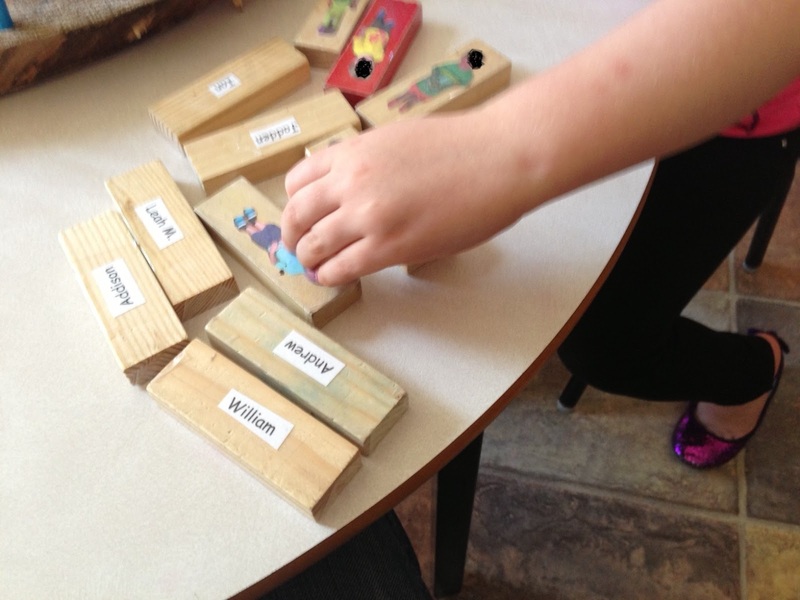 When the children came in the next morning they went straight to the table with the blocks. Immediately they found their names. “Hey, I found my name over here!” said one child. When I asked what they thought would happen when they flipped the block over they quickly flipped it over and revealed their picture. They all began laughing and pointing out the things they noticed about themselves. “I have a blue shirt on!” explained one little boy. The children at the table found their friends names next and eagerly showed them. The new children in our room had a big smile when they saw their block which sparked conversations with the older children. At that moment while I watched the newer children integrate themselves amongst the preschool veterans, I knew they felt like they belonged here at Little Munchkins. 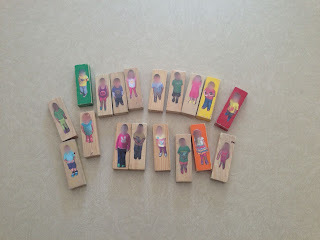 We have used our picture blocks in several invitations so far. By including the blocks with other invitations the children can role play as themselves. They have explored the wild habitat of the African wilderness, been inspiration for a self portrait, and even built cars and houses for themselves in the block corner. 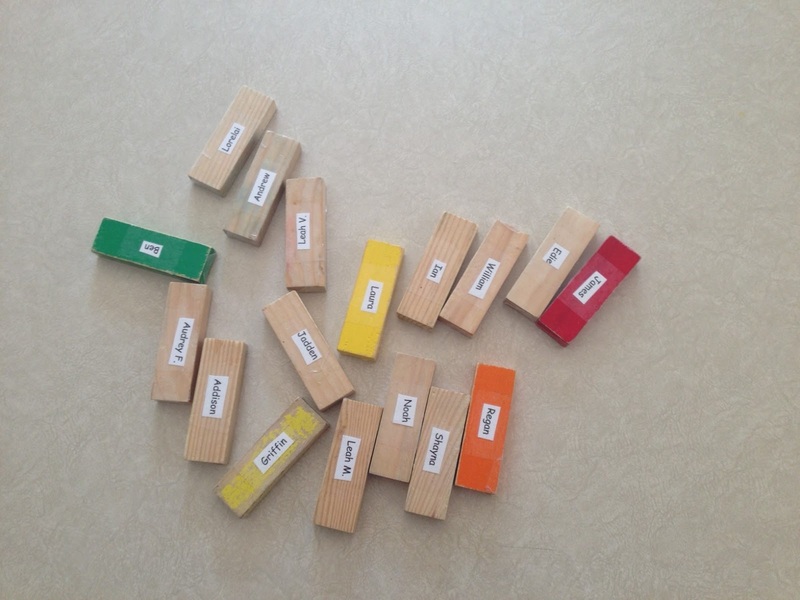 We are excited to see how else we can expand on our blocks, do you have any ideas?